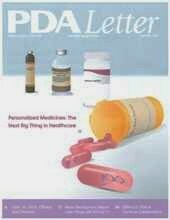 A recent issue of The PDA Letter (October 2011) featured an article titled “Evaluating the Use of RFID in the Pharmaceutical Industry”. The article was great about highlighting many of the benefits and issues associated with using RFID solutions, especially related to the reduction of counterfeiting and theft and improving supply chain security. Unfortunately, the article raised some concerns about the use of RFID in pharmaceuticals that no longer apply. Let me explain. Prior to joining Intelleflex, I was in charge of the anti-counterfeiting serialization program at Genzyme. I was a big believer (and frankly still am) of using 2D barcode technology for tracking individual units of pharmaceuticals. At the case- and pallet-level however, RFID is a much more effective solution than barcodes, especially now that there are good RFID tags for storing the information related to the inference data that also features chain of custody recording capabilities. As indicated in the article, over the past couple of years, many advances have been made towards an industry-wide adoption of RFID but few of have yet to take advantage of the additional benefits next generation RFID Class 3 Battery Assisted Passive (BAP) tags that companies like Intelleflex manufacture. These BAP tags offer many new features and capabilities towards improving the documented proof of efficacy at delivery, actionable data for in-transit monitoring and for serialization. These tags, with their built in memory and processor, are able to log and store condition data of the product from inside the package while providing secure access. They’re also are FAA compliant, with a much longer free air read range than traditional passive RFID tags that provides the power to penetrate the packaging without opening or tampering. The article raises unfounded concerns surrounding what, if any, impact RFID would have on biologics and their efficacy. As reported in The RFID Journal, the University of Southern Florida recently conducted a study on the drug/biologics efficacy impact of RFID and came up with no evidence of any such impact. Class 3 is definitely worth a look for your pharma supply chain applications. This entry was posted in Pharmaceuticals, RFID News, Uncategorized. Bookmark the permalink.